Another of life’s little coincidences came my way today in the form of a County Championship match between Glamorgan and Sussex in Cardiff. 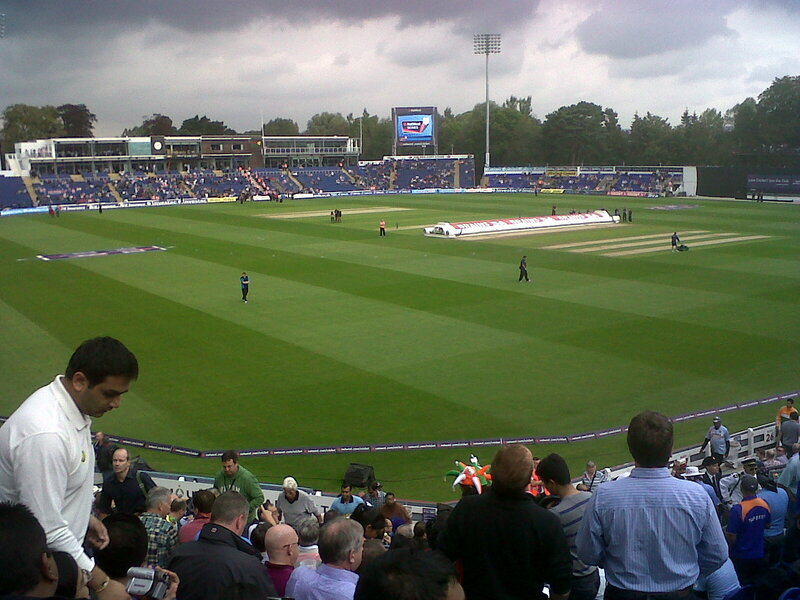 Naturally, being on holiday, and the SWALEC Stadium being very close to my house, I took the opportunity to see the first day’s play. As it turned out, there didn’t seem to be much pace in the pitch, but there was definitely some swing and movement for the Sussex bowlers from the start. 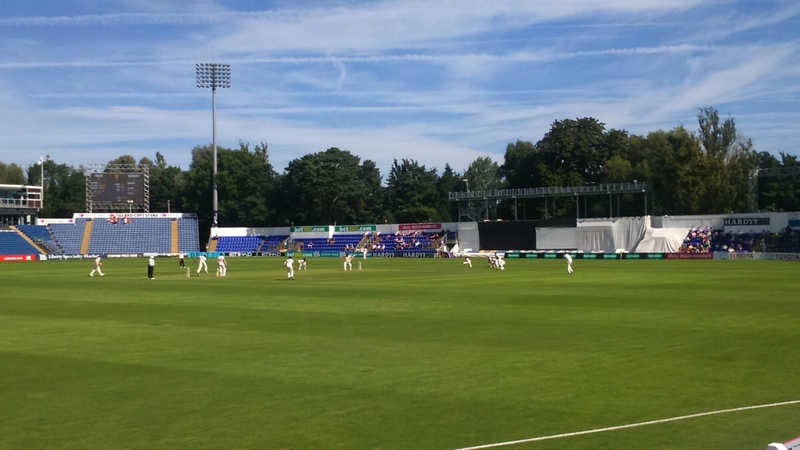 Glamorgan’s batsman struggled early on, losing a wicket in the very first over, and slumped to 54 for 5 at one stage, recovering only slightly to 87 for 5 at lunch. After the interval the recovery continued, largely because of Wagg (who eventually fell for an excellent 57) and Morgan who was unbeaten at the close. 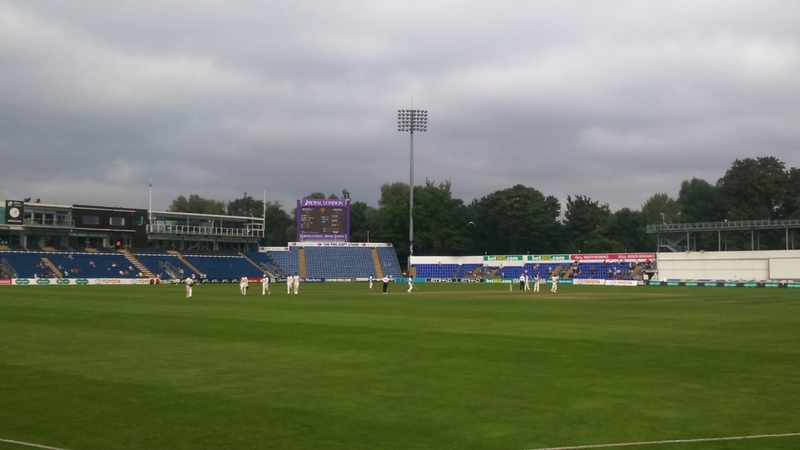 Glamorgan finished on 252 all out on the stroke of the tea interval. Not a great score, but a lot better than looked likely at 54 for 5. 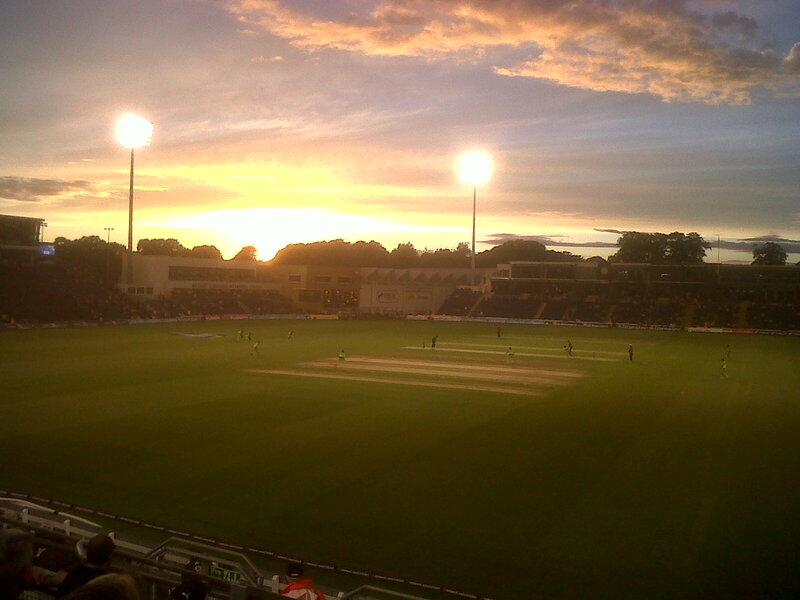 Perhaps that’s why Sussex put Glamorgan in? Anyway, when Sussex came out to bat it was a different story. Openers Joyce and Nash put on 111 for the first wicket, but Nelson did the trick for Glamorgan and Joyce was out just before stumps bringing in a nightwatchman (Briggs) to face the last couple of overs. A full day’s cricket of 95 overs in the sunshine yielded 363 runs for the loss of 12 wickets. Not bad at all! It’s just a pity there were only a few hundred people in the crowd! Sussex are obviously in a strong position but the weather forecast for the later part of this week is not good so they should push on tomorrow and try to force a result! 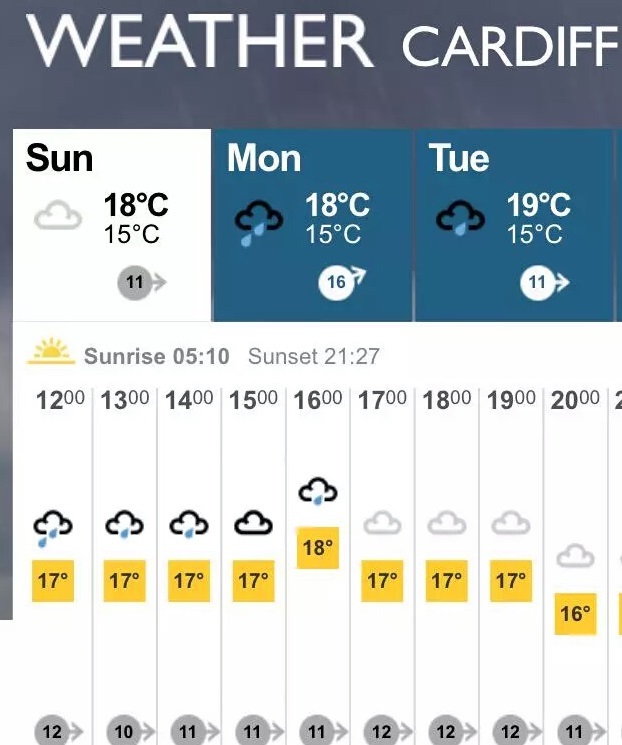 As I feared, the weather in Cardiff yesterday wasn’t brilliant and, although it was quite warm during the morning, it was overcast and there were stacks of very dark clouds around by lunchtime. We got to the ground in time for the scheduled start, which was 2pm, but just as play was about to get under way the heavens opened and down came the rain. This was the scene about five to two, just as the covers were being taken off; they dark clouds to the left were moving from left to right and covered the ground a few minutes later whereupon it stotted down. Fortunately, although it came down in stair-rods for a while, the rain didn’t last long so play actually got under way about 2.40 and the authorities decided that the game would remain 50 overs a side (with a late finish). 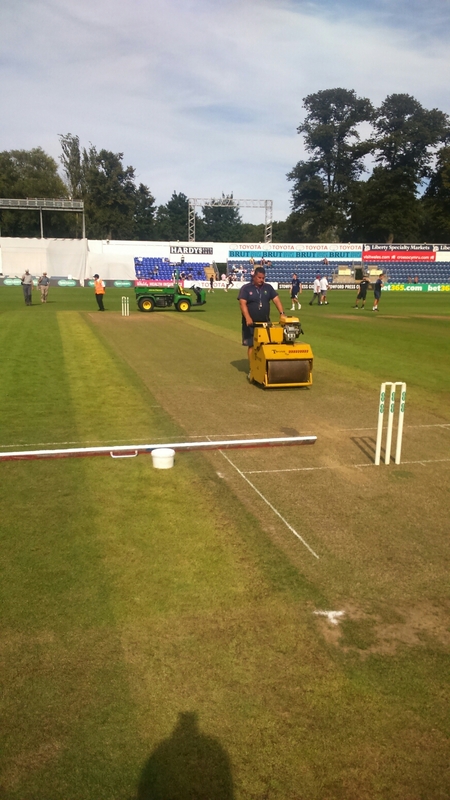 England won the toss and decided to field. Openers Parthiv Patel and Ajinkya Rahane got the Indian innings off to a good start with a partnership of 52 runs, then Rahane was removed by Jade Dernbach when the batsman, after scoring just 26 runs off 47 deliveries, was caught by Steven Finn at third man, right down in front of us. In the 16th over, Patel also fell, for 9 runs off 39 deliveries, when he was caught by Tim Bresnan at mid-on off the bowling of spinner Graeme Swann. Rahul Dravid (playing his last ODI) and Virat Kohli then played a wonderful partnership which was not broken until the last delivery of the 42nd over. England finally managed to grab the wicket of Dravid who left the field to a standing ovation after scoring 69 runs. The Dravid/ Kohli partnership had brought 170 runs; by the time Dravid’s wicket fell, India were on 227-3. Meanwhile, Kholi had managed to score his sixth one-day hundred but he was out for 107 in the 44th over when he was given out hit-wicket while trying to play a delivery by Swann; his back foot had apparently slipped and struck the stumps, dislodging a bail. Unlucky. Just after they players went off for a (shortened) interval, the rain came back again and this time it was decided that there wouldn’t be time for another full 50 overs. The Duckworth–Lewis (D/L) method was wheeled out, with the initial outcome that England would have to score 270 to win off 40 overs. That seemed very tough – the ten overs lost only reducing England’s target by 35. Another rain delay then revised the target further to 241 runs from 34 overs, a very stiff challenge indeed. The many Indian supporters in the ground were buoyed by their team’s strong batting performance and seemed confidedent of a first victory against England this tour. I thought India would win at this point too, as a matter of fact. 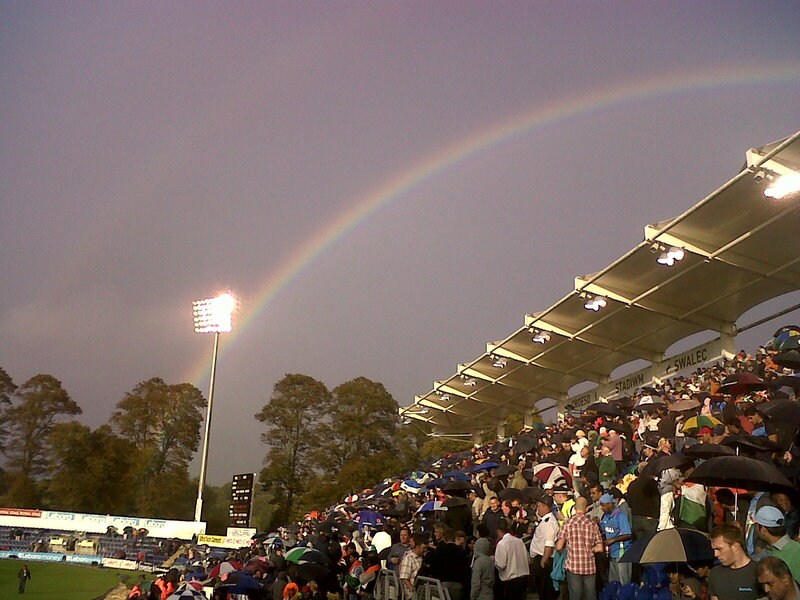 Anyway, the rain finally cleared and as the sun came out a rather nice rainbow appeared over Sophia Gardens as the floodlights were switched on for the “night” part of this “day-night” game. 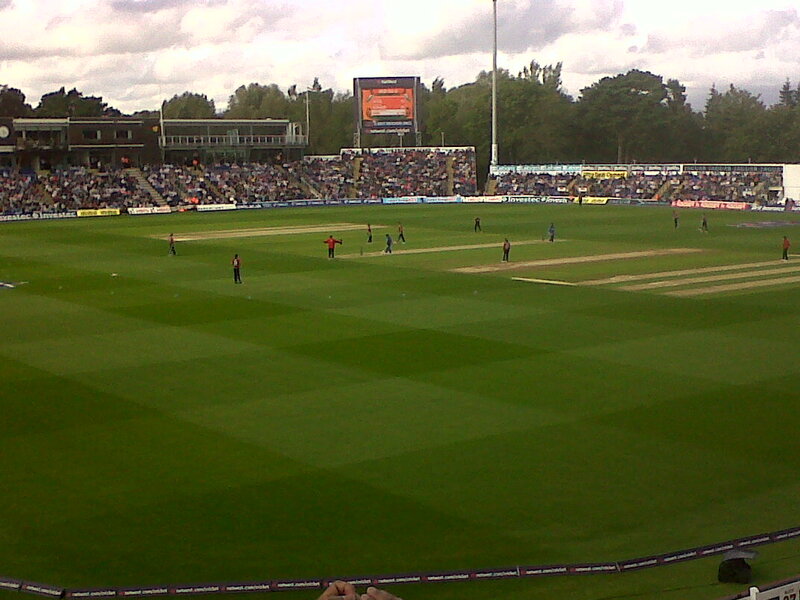 England came out to bat and, rightly, sought to take the attack to India right from the ouset. Openers Alastair Cook and Craig Kieswetter scored quickly against some frankly rather poor Indian bowling. England suffered their first loss in the fifth over with the score on 27 when Kieswetter was given leg-before wicket off the bowling of Vinay Kumar. Cook was then joined by Jonathan Trott, often a rather slow scorer, but both batsmen scored quite freely building a partnership of 79 runs until Cook was dismissed in the 18th, bowled by Kohli. The England total was 106 at this point, with three wickets down but plenty of batting still to comeyet only 16 overs to score the remaining 135 needed to win. Ian Bell departed after scoring 26 runs and then Trott fell to a catch, off an uncharacteristically poor shot, for 63 runs off 60 deliveries. With four wickets now down, India (and their fans) must have been feeling pretty confident that they could stop England’s run chase. The result was firmly in the balance. Cue the 21-year-old debutant Jonathan Bairstow who looked a little nervous for his first two or three deliveries, but then proceeded to smash the Indian bowling all round the park (and out of it). I think at least two of his big straight hits may well have landed in the River Taff after clearing the stands at the Riverside end quite comfortably. The flurry of boundaries boosted England’s scoring rate so quickly that in no time the target started to look not just possible but comfortable. In the end Bairstow remained unbeaten on 41 runs while his partner Ravi Bopara was not out 37 as England won by 6 wickets with more than an over to spare. It was an impressive performance by the England batsman and a crushing disappointment for India, who now return home without winning a single match in England this season. 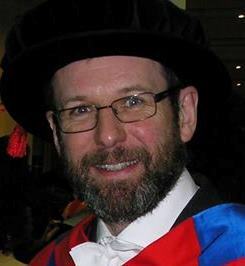 Despite the showery weather it was a thoroughly enjoyable occasion. The ground was packed, the sizeable Indian contingent contributed a lot to the atmosphere, and the usual groups of daft blokes in bizarre fancy dress also added a measure of eccentricity to the event. It did look at one point that there might be an ugly scene between two groups of fans in our stand, but thankfully it didn’t turn out to be very serious. 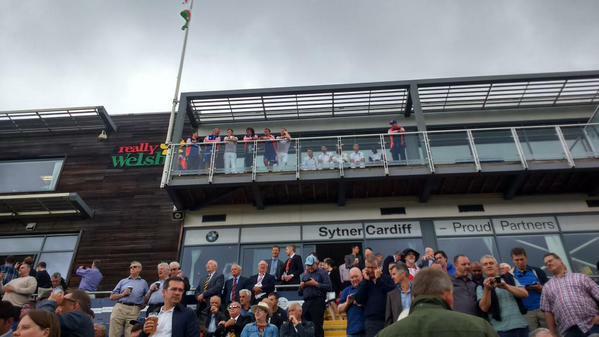 We don’t want any of that sort of thing at cricket matches, thank you very much. So that’s that. A fine end to the summer of international cricket, though perhaps not for the Indian players and supporters…. Just a quick post to share a picture taken at last night’s Twenty20 International in Cardiff between England and Pakistan. We had the entire spectrum of Welsh weather to contend with, but the worst of yesterday’s rain was over well before the match started and the SWALEC stadium, just ten minutes’ walk from my house, was a fine sight under a variety of peculiar cloud formations and the floodlights, as you can tell from the picture I took on my phone. Pakistan won the toss and batted first, but didn’t make a very good fist of it and were bowled out for a mere 89 from their 20 overs. England had a little wobble during the run chase but in the end won comfortably by 6 wickets. Unfortunately, the crowd numbered only a few thousand so the atmosphere was a bit flat and Pakistan’s poor showing with the bat made it all a bit of anti-climax, but it was still a good way to precede a nice curry. I’ve heard various theories as to why the attendance was so poor, but I think it’s pretty obvious: at £45 for a game whose format ensures it can last no longer than about three hours, tickets for this match were just too expensive. I think the authorities should think again about their pricing strategy.